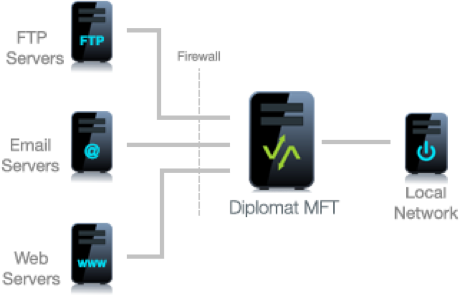 Diplomat Managed File Transfer automates, integrates and controls both internal and external secure file transfer. Like it or not, technical glitches with secure file transfers are inevitable. Network outages, missing files, and incomplete transmissions eventually crop up. You need a better way to centrally control secure file transfer.